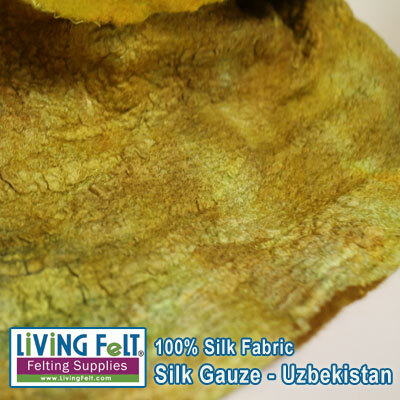 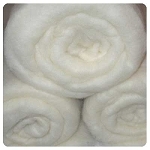 Home > Wet & Nuno Felting Supplies > Silk Gauze Fabric - Uzbek Silk 35"
This fabric will acid dye beautifully and will be great for nuno felted items, especially for nuno felting wearables that you want to be light weight and drapey. 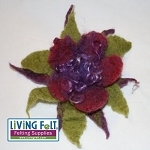 This fabric creates a gentle but gorgeous puckering or "rouching" and you can clump and cluster it for gorgeous surface design effects in your nuno felts. 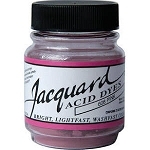 Notice that you can clump and cluster the fabric as desired, the fabric comes in a natural white, and dyes beautifully! 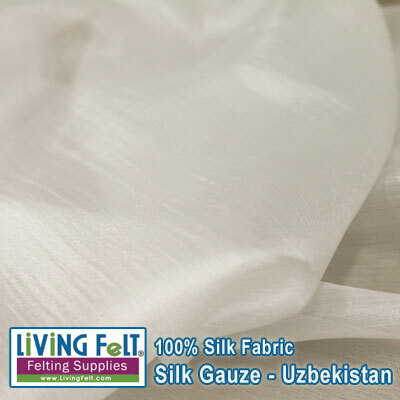 MARGILAN SILK = Rarified Silk Gauze = the lightest weight, great for lining on garments, and in nuno felt surface design.